A1 Pride Mobile Mechanics provide a complete and comprehensive mobile pre-purchase car inspection service across Sydney. Experience peace of mind in having an unbiased investigation, by a licensed mechanic, of a vehicle before you purchase it whether from a dealer or privately. Before buying a used car it is important to have the vehicle inspected to discover any faults and many finance companies now require an inspection carried out for finance approval. WHY IS A PRE PURCHASE CAR INSPECTION ESSENTIAL? With A1 Pride Mobile Mechanics, not only are the mechanics and condition checked, your mechanic will ask you questions to understand what your priorities and needs are. He will ask the seller questions about the reason for selling and service history to understand how the car has been maintained and cared for. Time is taken on the car to provide you with thorough information to help make your decision. 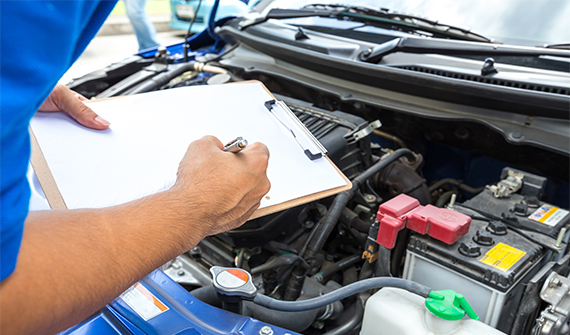 Once the inspection has been carried out your mechanic will explain the findings, run through any potential problems, offer advice and answer any questions you may have. If you are from interstate your mechanic will meet the vendor on your behalf, send photos and call you with the report. So give yourself peace of mind before you buy your next vehicle and have it checked by a professional with A1 Pride Mobile Mechanics. If you are ready to book in our pre purchase car inspection services in Sydney, learn more about our extensive mechanic services, including mobile fleet servicing, starter motor repair, brake repairs, and wrong fuel rescue, or to discuss your specific needs, feel free to reach out to our knowledgeable team of mechanics today. We’re reachable on 0415 073 306, contact@a1pridemobilemechanics.com.au, or feel free to fill in our quick enquiry form at any time, and we will get back to you as quick as possible with all the information you require. At A1 Pride Mobile Mechanics, we’re passionate about providing friendly, on-time and on-budget pre purchase car inspections and more that leaves our customers in the best position!